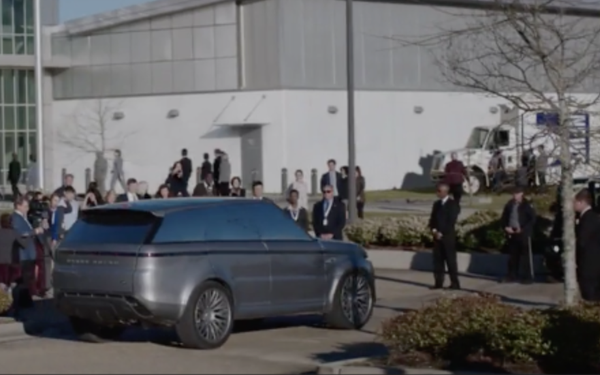 A futuristic, custom-built Range Rover Sport is featured in a new original drama series on Hulu. Land Rover North America inked the deal to appear in “The First,” available for streaming beginning today. From “House of Cards” creator Beau Willimon and starring two-time Academy Award winner Sean Penn, “The First” is a near-future drama about a crew of astronauts attempting to become the first humans on Mars. The Range Rover Sport will be driven by visionary aerospace magnate Laz Ingram, played by Natascha McElhone. These features include fully autonomous driving capabilities, an exterior Smart Light Bar that acts as a 360-degree sensor communicating with other vehicles and reading the road surfaces, and an optional steering wheel that can retract into the dashboard. In the series, the Range Rover Sport of the future is also fully electric and has a variable suspension system, allowing the intelligent vehicle to change its performance characteristics based on the desired ride of its owner.